Jake Morrison (current CEO), Dennis Eyriey and Jackie Jones. 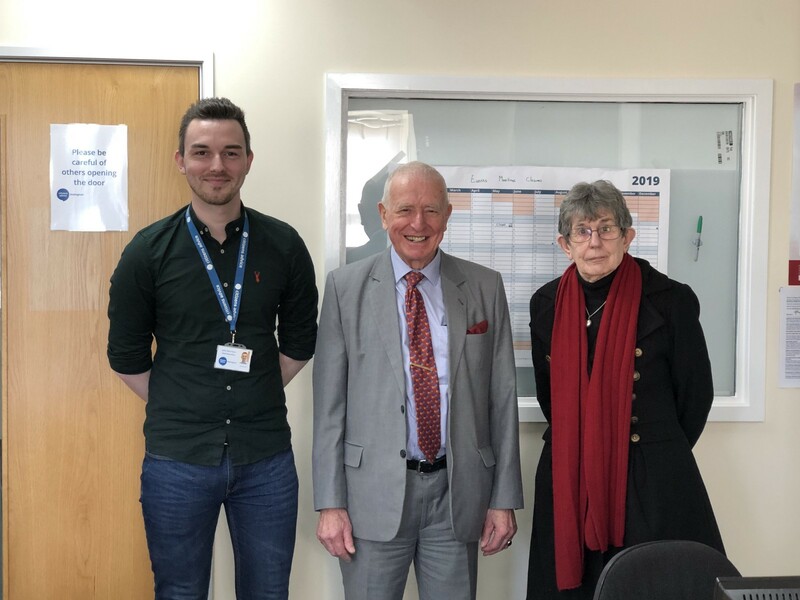 On Thursday 14th February, Citizens Advice Wokingham was visited by former Chair of the Management Committee Dennis Eyriey, and original volunteer Jackie Jones. The visit is one of the first in Citizens Advice Wokingham’s long-term initiative to commemorate the 80th anniversary of the opening of the first Citizens Advice offices in the country. The first Citizens Advice offices did indeed open in 1939, but Citizens Advice Wokingham are seeking to unearth their own roots from their later establishment on the 27th June, 1977 by the then-Town Clerk, Richard Rees Jones. 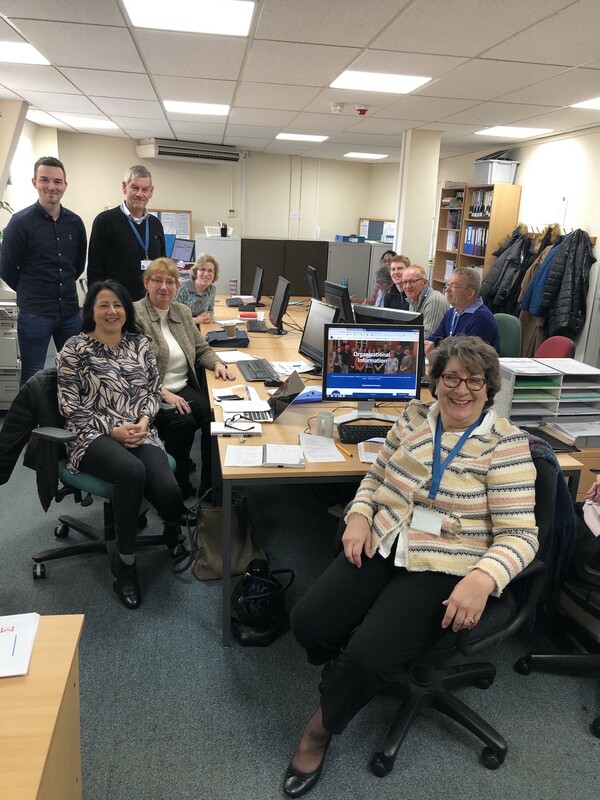 Jackie Jones, who was a member of the first set of volunteers to work at what was then titled the ‘Wokingham Citizens Advice Bureau’, spoke about her motivations and the experience of joining the new workforce. The current office, which exists in Waterford House, Erftstadt Court. The Wokingham & District Citizens Advice Bureau (which it would be later renamed to) records show that ten founding volunteers became advisers, with 1,815 people contacting the Bureau for advice throughout 1978/79. By 1981/82, those numbers had shot up to 4,068, with ten advisers still left to handle them all. The service moved to Langborough Road while refurbishments were made to the Town Hall, before moving back again. Jones was in the position of Deputy Organiser at the time. The service was certainly accessible to the public in these years, but this sometimes led to public questioning of a more peculiar variety. One enquiry in 1979/80 came from Australia, and an original Bureau volunteer named Betty Gifford noted that one person had contacted the service to ask ‘how to exorcise an unquiet spirit’. ‘A lot of the time, members of the public would come in with local enquiries about where the nearest loo or chemist was. There was little restriction on whom advice could be given to either.’ Jones said. Bigger plans for the Bureau began to unfold. A Woodley extension was opened in 1985, Wokingham District Council entered a partnership with them in 1986, and a full-time manager with plans for expansion of the premises was appointed in 1988. 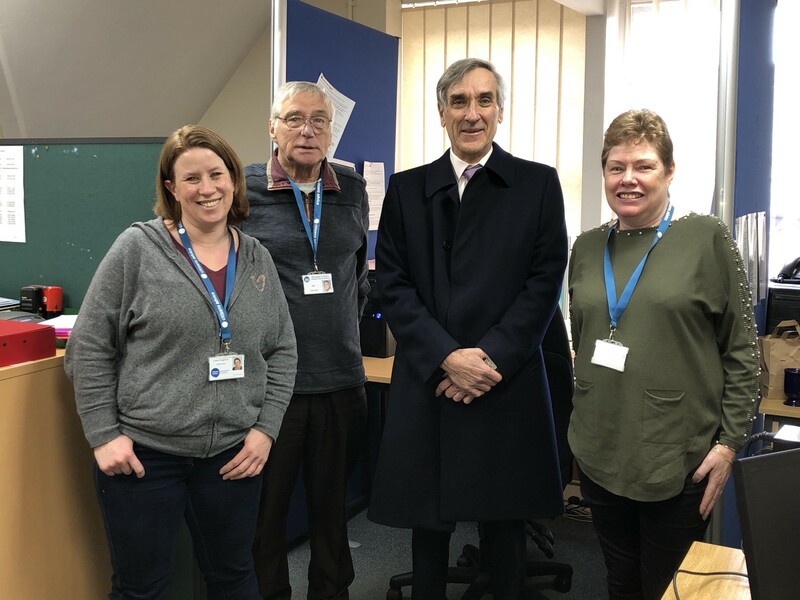 Sir John Redwood, MP attended the Citizens Advice Wokingham office last month, and records show that he was vehemently against the potential closure of the service in 1989. It was not only in terms of location that the volunteers were experiencing shifts, for technological advancements began to re-shape the nature of the service. Eyriey stepped down as a Trustee in 2007, although the spell was not an unbroken one. As the 80th anniversary of Citizens Advice approaches, more recollections and information will be sought for. It is clear that an intriguing history of constant change and development has shaped the current organisation.